Dungeons are an integral part of fantsy gaming, but there's far more to them than just stone corridors and random monsters. 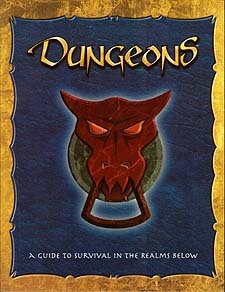 This book contains a plethora of tips, tricks and rules to help make your dungeons the stuff of legend. It includes essays on design and construction, overviews of different dungeon types, player advice for surviving underground perils, and a host of new rules, spells, monsters, and magic items.